Video content is the top priority list in the marketing strategies online today. YouTube is the most targeted platform for the video marketing by the marketers. Every YouTube strives hard to get good subscribers for their channel as the number of subscribers is one of the best measures for the channel growth. 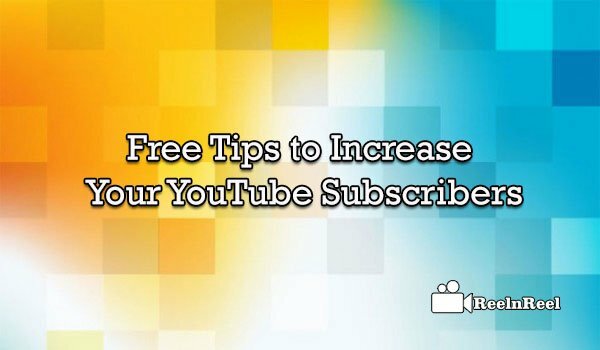 Here are some simple ways to get good subscriber rate for your YouTube channel. Content can easily generate in these days but, good quality content with all the above qualities is highly required to stand out from the crowd today. So, create a unique and enjoyable quality content to grab the subscribers. So, focus on your metadata and keywords utilisation across the platform. Produce top-notch content to grab the audience attention. Upload the content frequently across the platform in drive the curiosity among the audience and make your mark on the platform. Audience subscribe to the particular channel if and only if your content is entertaining and exciting as well as if you have the continuity. Video titles are significant as people search for specific keywords to access the content and it is essential to create a compelling and relevant title for your video content. The title must be catchy and connected to your video which can help you to grab better subscriptions. Create good background to your channel and customise the channel by using different free tools that are available across the web. Also, add proper thumbnails which are colourful and attractive as well as relevant to your video content. Thumbnails can give the first impression to your video content on the platform. If you have created a new channel don’t forget to launch good channel trailer which must be very engaging and catches the audience attention. YouTube platform offers channel trailers which let you play the container automatically. So, create perfect channel trailer with a length of 30 to 60 seconds. Promote your channel on other platforms and ask them to subscribe using subscriber buttons.